Rainy days can sometimes be hard with the kids, especially Aria. She loves being outside and as you previously learned, she loves the park. We had an entire weekend of rain recently and she was going nuts, extremely stir crazy. So I went to my good friend Pinterest and searched for Halloween art projects. 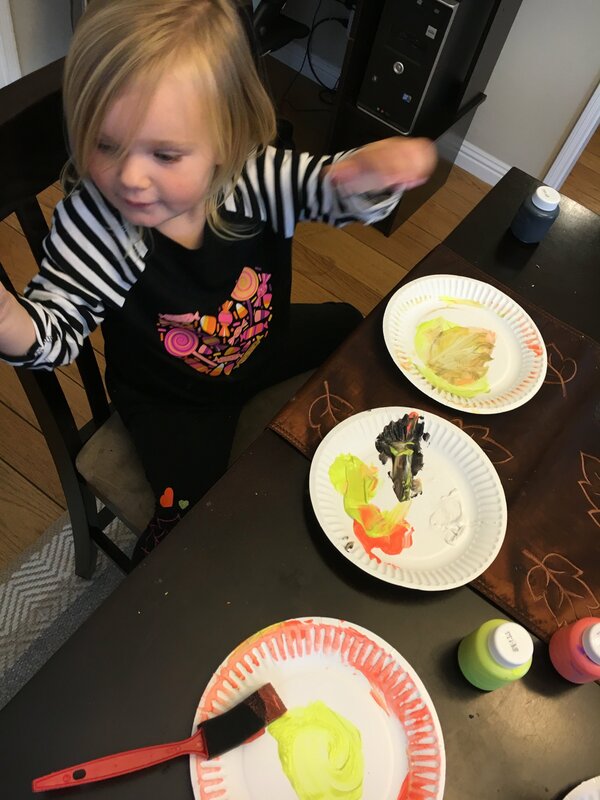 Aria loves to do art projects, mostly painting…well I take that back, mostly painting her hands to make prints. 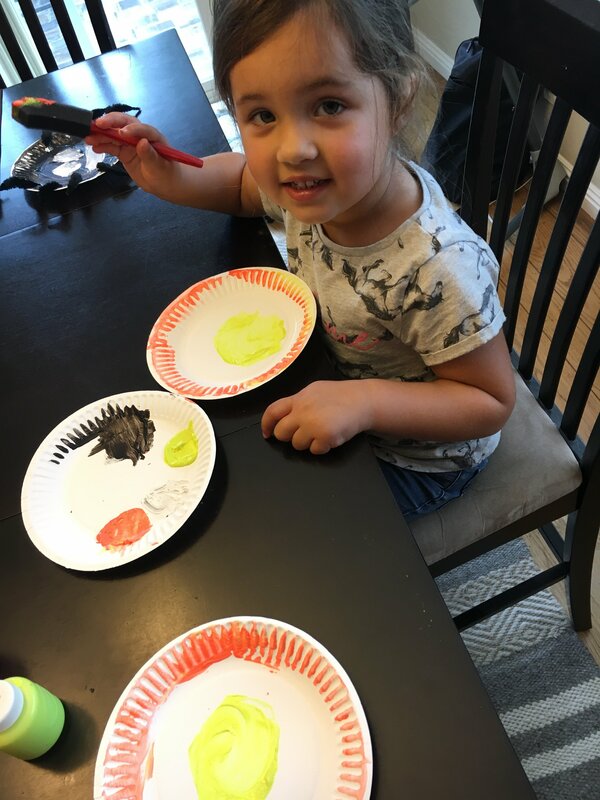 So I invited one of my girlfriends and her kids over for some rainy day crafts. It was super fun. 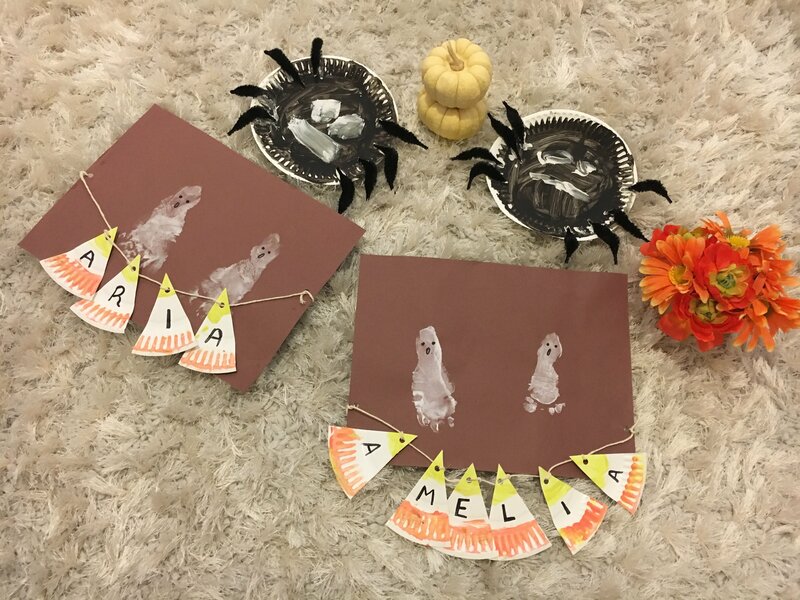 We made spiders, candy corn banners and used the kid’s foot prints to make ghosts. Below are the details on how we each one. 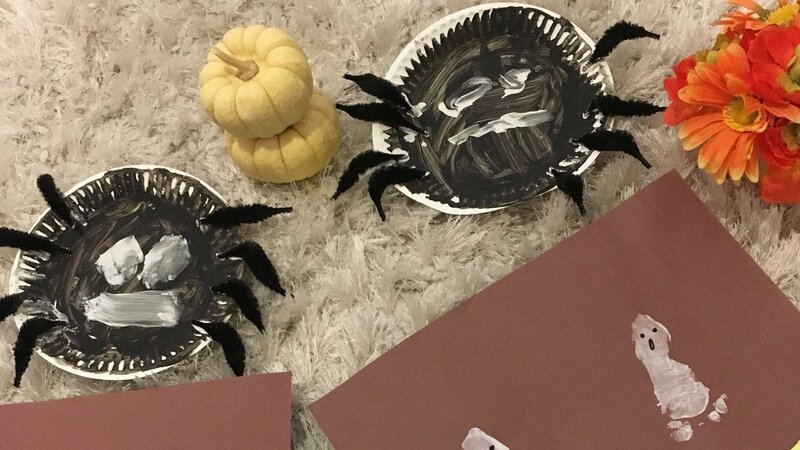 Spiders plates: for this I used a small paper plate and had the girls paint it black. Then we used white paint to create the eyes and mouths. I actually had some felt wire left over from a ladybug costume I made, so I cut them down for the legs. The girls then used the paint to glue them on. And there you have it, a fun little project that’s easy and simple. Candy Corn Banner: Again we started with the small plate. I had the girls paint a yellow circle in the center. Then paint the edge with the orange. After letting them dry, cut the plate into wedges ( kind of like you would a pizza). Then use a hole punch to punch a hole in each corner of the candy corn and lace string in them. 3. Footprint Ghosts: The ghost project is pretty simple, just paint the bottom of their feet white and stamp them on the paper. Once they dry you can take a sharpie and draw on the face. 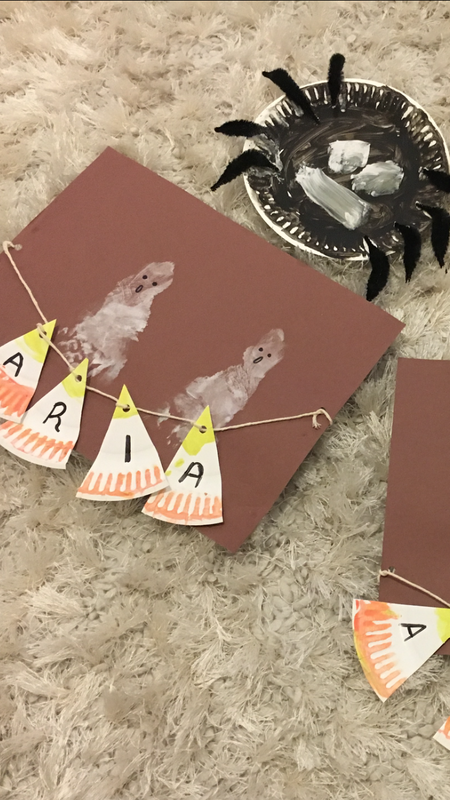 There you have it, some super fun crafts you can do with your kids when you’re stuck inside. Thanks for stopping by and hope you have a fantastic week!